Captain Eric Pfister, a native of Newport Beach, California, graduated from the U.S. Naval Academy in May 1991 with a Bachelor’s degree in Mechanical Engineering. Upon graduation, he attended flight training, was designated a naval aviator in August 1993, and selected to fly the H-46D helicopter. 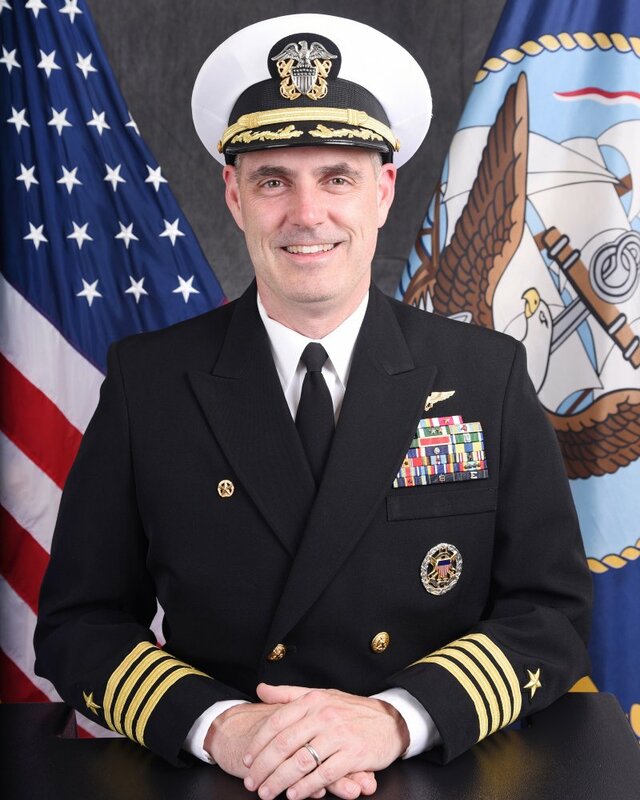 At sea, Captain Pfister first served as a division officer with HC-11 where he deployed in USS Kiska (AE-35) and USS Essex (LHD-2) and participated in Operations SOUTHERN WATCH and UNITED SHIELD. Subsequent sea tours include serving as Navigation Officer in USS Tarawa (LHA-1) deploying in support of Operation DETERMINED RESPONSE, and as detachment Officer-in-Charge in USS Essex (LHD-2) and squadron Maintenance Officer with HC-5 forward deployed in Guam. His most recent sea assignment was as E xecutive Officer of the amphibious assault ship USS Bataan (LHD-5) from September 2014 through June 2016. Ashore, Captain Pfister served as a flight instructor with HC-3, the Helicopter Sea Assignments Officer with Pers-43, and an action officer in the Joint Staff’s J-7 directorate. Captain Pfister served as the Commander of the 2515th Naval Air Ambulance Detachment at Camp Buehring, Kuwait in 2008-2009 and as Executive Officer and Commanding Officer of HSC-21 in 2007-2010. He is a 2011 graduate of National Defense University’s Industrial College of the Armed Forces and holds a master’s degree in National Security and Resource Strategy. 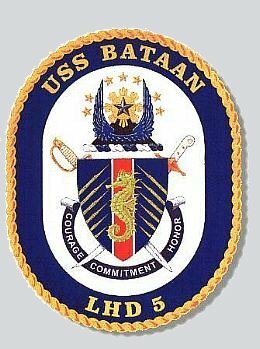 Captain Pfister assumed duties as commanding officer of USS Bataan (LHD-5) on 10 June 2016. Throughout his career, he has flown more than 3300 hours in the H-46D and MH-60S. He was recognized in 1998 as HC-3’s and the Naval Helicopter Association’s Instructor Pilot of the year, and in 2009 he earned the Naval & Marine Corps Association’s peer-nominated leadership award. His personal awards include the Defense Superior Service Medal, Meritorious Service Medal (2 awards), Strike/Flight Air Medal, Navy and Marine Corps Commendation Medal (7 awards) and numerous campaign and service awards.